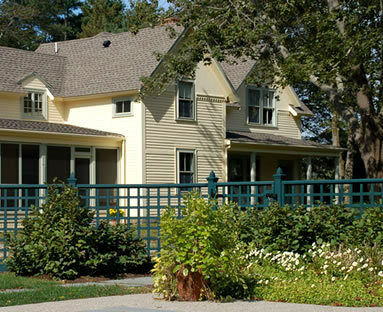 This project in Manchester, Massachusetts, involved renovations to a nineteenth century Queen Anne cottage. The house had been unoccupied for many years and required extensive interior work as well as some minor exterior modifications. In addition to completely upgrading the plumbing, heating and electrical systems, and much of the floor framing, the interior walls were re-arranged to minimize circulation space and to open the floor plan. An added shed dormer was replaced with a gable detailed to match the existing, and a new porch was added to take advantage of the pleasant yard. Several generations of unsympathetic renovations were undone to restore the character of the original house: a summertime seaside cottage.